Having one cat can be satisfying, but the interaction of two felines is twice the fun. The Hawaiian Humane Society is encouraging double adoptions by offering two cats or kittens for one fee. The start of a new year is the natural time for examining the quality of our lives, reviewing the old year and planning for the year ahead. For many families, enhancing their quality of life stirs the desire to share their home with a new pet. When is it a good time to adopt? The best time is when your life is calm and organized, but most of us are not that lucky. There are always curves on the road of life -- that's what makes it interesting! Take this quiz to help you decide if this is a good time to adopt a pet. 0-3: Your life seems fairly stable. Now is probably a reasonable time to acquire a pet. 4-6: You have a lot of responsibilities right now. Although adopting a pet may still work for you, a small mammal, an adult cat or well-trained adult dog would probably be more appropriate than a kitten, a puppy or an active breed of dog. 7-10: Let's think twice about this. With all the changes and responsibilities in your life right now, you may not have time to care for a new pet. It would probably be better for both you and the pet if you wait until your life settles down a bit. 10-plus: STOP! DON'T PASS GO! Acquiring a pet now is not a wise decision. Why not consider a pet rock or a "computer pet" instead? How did your life score? Similar to a stress test, you can check "yes" to a few scenarios and still be able provide a stable and loving home for a new pet. But if you check five or six or more, this may not be a good time to take on the responsibility of providing 15 or more years of care for a companion animal. If you already have a pet and are considering adding another, consult with your veterinarian about your decision. If you have no pets, spend some time with the adoption counselors at the Hawaiian Humane Society. They are experienced at helping prospective pet owners and can recommend a pet from the many possible companion animals. Kittens and puppies, most often considered as new pets, require a large commitment of time, energy and love. Don't forget that there are many other pets that provide just as much love and fun but are not as difficult as bringing an infant into the house. Before you begin your search for an animal, make a list of the qualities you expect from a pet. Include the amount of time you can spend with a pet, frequency of your out-of-town travel, the size and location of your house or apartment, and your energy level. Would you like to get outdoors and get more exercise with your new best friend? Do you expect one-on-one amusement from your buddy, or is socializing with other pet people a priority? Will you want this companion animal five years from now? Do you have the time it takes to properly care for an animal? Are you financially able to provide proper health care and food? When you know the answers to these questions, visit the Humane Society, even if you think you may get your pet elsewhere. The counselors interact daily with animals and their owners -- they can advise you on the type of pet that best suits your lifestyle, the amount of time required for proper care and tips on training. Then it will be easier to pick a pet that can adapt to your personality and lifestyle. Instead of a rambunctious puppy or kitten, your household might be happier with a talkative bird, colorful fish or a quiet rabbit. 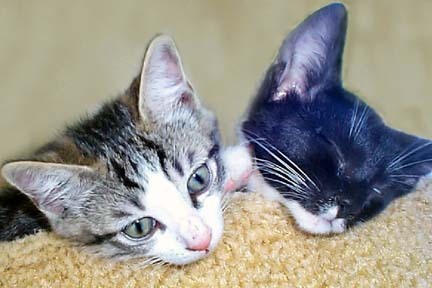 But if your heart is set on a canine or feline addition, check the selection at the Hawaiian Humane Society. The adoption hotline gives the lineup each day at 946-2187, ext. 780. Adopting from a shelter gives a homeless pet a chance for a happy life. Bring the whole family to meet the animals you're considering, then spend time your number one choice. Don't rush your decision. You may not find your new pet on the first visit. When you take the time to learn about animals and meet them before you bring them home, special friendships develop that last a lifetime. "Pet Ohana" runs the first and third Fridays of the month. The Hawaiian Humane Society is a nonprofit agency dedicated to preventing cruelty to animals. They are at 2700 Waialae Ave. Call 946-2187.